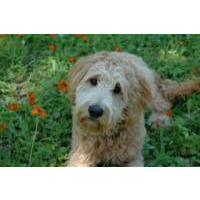 • Click here for Goldendoodle breeders listed below alphabetically by State / city. 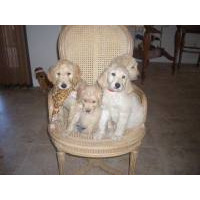 • Click on underlined words to find Goldendoodle puppies for sale. 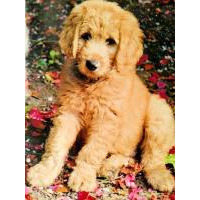 • Please tell the Goldendoodle breeders with puppies for sale that you found them on BreedersClub.net. The popular designer breed known as Goldendoodle is a hybrid of Standard Poodle male and Golden Retriever female. They are recognized to be outstanding family pets and assistance dogs. Human companionship is very important to this breed. Goldendoodles can be able hunters and are considered very intelligent along with gentle, loving natures. A premium home breeder - located in Sunny Central Florida. We have very carefully selected our puppy parents from the highest quality champion lines with years of good health history behind them. Our goal is to produce the temperament that can be used for Therapy and Service dogs but at the same time make amazing family pets. Our puppies are checked by our Veterinarian several times, vaccinated and come with a signed Health Certificate and shot record. I am country in everything I do raising my dogs in a loving set with loads of room to run I have had animals all my life ( horses dogs cows chickens ) my animals health is very important to me and all vaccines are current with worming up to date. The puppies come with State Health certificates and registration papers including 1 year guarantee. I am a school bus driver for special needs children and care for my father with alzheimer's so I do not have the ability to go to the airport for shipping. But you are welcome to my farm in the woods anytime just give us a call and hope to see ya'll soon. Registered parents. These beautiful, high quality puppies are raised in our home with the utmost care and attention. Extremely well socialized to become a loyal and loving member of your family. Puppies come to you with dewclaws removed, tails docked, current shots & de-worming, a 2 year genetic health guarantee and a voucher giving you a free Banfield Vet check. Our dogs are firstly our pets. We will give 1 year health guarantee, are vet checked, and will start vaccinations. All potential buyers will be screened to ensure suitability for the dogs. Karla has been lovingly caring for animals over 40 years, as a Pet groomer, Pet Care Facility owner, "Animals are my life! "- Family owned & raised by loving hands, born in our bedrooms, and raised in our homes with plenty of room to run! -None of our dogs will ever live in a kennel-nor will anyone have one of our dogs that cannot consider this dog a part of their family. Our puppies are Volhard Temperament Tested, Vaccinated, Health Guarantee, Parental Health Tested, Visits Welcome! You will meet our puppy parents, and us. We provide for you 4 hour exit seminar including Nutrition, Parental & Puppy Health, Training -Crates, Treats, Toys, & Grooming Education & Supplies-We love sharing our knowledge with you! We will support you & your puppies as they grow-and siblings as a group online sharing photos, & tips, we stay with for as long or short a time as you need! We take pride in the fact that our relationship with you does not end when you take home a puppy from us. What comes with my new puppy? Up to date shots, Deworming at 2, 4, 6 and 8 weeks, Vaccinations, beginning at 6 weeks, Health record for your vet. A lifetime warranty. Puppy started on house and crate training at 8 weeks. Early neurological stimulation treatment. A healthy and well socialized puppy. A puppy who has been fed a quality food. Mirochipping. A sample of your puppies food. Puppy safe toy with sibling/mother scent. A health exam performed by a licensed veterinarian. Litter training starting at 3 weeks. Temperament testing. Puppies begin going outdoors at 8 weeks if weather permits. Puppy pedigree when registration papers are sent. Testing results for parents upon request. First dose of Heartworm preventative and flea/tick control after 12 weeks of age. CKC/USA registered, farm raised, vet checked. First shots, wormed, both parents on site. Here at Winding Creek Ranch, we have the perfect recipe for providing families with some of the best doodles available today. With a combination of carefully selected breeding stock, extensive health testing, high integrity, knowledge and experience, our clients are recommending us to all their friends and family. We breed Mini and Medium Goldendoodles in all generations, English and American lines, colors of cream, apricot, red, black, phantom and parti. Our puppies go home freshly groomed, with a 2 yr health warranty, microchip, vaccinations, deworming, health records and copies of parents' health testing and pedigrees plus some free insurance coverage. We also give our families a FREE designer collar and a leash as a thank you. We value our clients and look forward to guiding you every step of the way through this exciting adoption process. We take great pride in the fact that our dogs are members of our family and our pets. We do not overbreed and there are NO CAGES or kennel here. Our fourth generation here on premises. Grandma Cami is still here happily chasing her frisbee and she'll greet you with toy in mouth when you come to pick out your puppy. We have a spay/neuter contract. Our pups are sold to be awesome family pets and not to breed. Miniature and Toy F1b - Registered. Raised in our home with lots of love and attention. Well socialized with children. Parents are fully tested. Current vaccinations, vet checked and 2 year health guarantee. Shipping available. 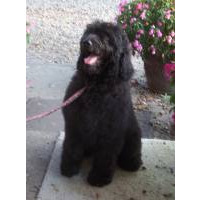 I am a NY state certified breeder (pd103) that has been breeding for over 20 years. We have long lines of healthy dogs and cats which have been health tested and are free and clear of any hereditary diseases. We give a two-year guarantee against any congenital or hereditary problems. They are raised in our home and are very well socialized with our toddler daughter, many family members and friends, as well as other dogs/cats. The puppies and kittens will be neutered/spayed and will have their first set of shots and routine dewormings. You're welcome to visit our home by appointment to meet our animal family. Shipping is available via courier or the airlines. We have been breeding since 2015. Our puppies are raised in our home. We live on a farm and the puppies are able to roam around the yard on nice days. All puppies will be current on Vaccinations and will be vet checked before going to your home. We have been breeding dogs since 1999. We love what we do with having a few litters per year. We enjoy providing people with a wonderful dog that is perfect for them! Our pups come with a one year health guarantee, first shots, and wormings, and also lots of helpful information to help get you started on the right track with raising your new family member. We are a small breeder with several dogs. All of our puppies come up-to-date on all shots etc. All of our females are AKC registered. We are a small, hobby breeder with years of experience. Located just minutes from Dublin, Ohio. We have several years experience breeding the highest quality dogs. All of our puppies come with a 2 year health guarantee. We have developed a strong reputation for very high intelligence dogs. Many of our dogs have become therapy dogs. Many people come back multiple times to add additional puppies to their family. We live on and operate a 500 acre grain farm in rural PA. We are located approx. 60 miles North of Pittsburgh. We have been involved with breeding dogs for approx. 20 years. We pride ourselves on running a very clean operation, and providing quality health pets and being there for any support you may need after making a purchase. Parents are health tested and cleared of over 150 genetic illnesses. For the puppies, we use a method called Bio Sensory Training also known as Super Dog Program which was developed by the military for service/therapy/search and rescue dogs. BST research proves that early neurological stimulation exercises between days 3-16 of age shape a puppy socially for life. Our puppies come with a full two year health guarantee and lifetime support. They are up to date on shots and have been dewormed regularly and thoroughly checked by our vet. We send a detailed vet record with each. For more pictures and videos see us on Instagram highbredminigoldendoodles We have never had a dissatisfied customer or any puppy returned for any illness or birth defect in our 18 years of being a hobby breeder. At Berachah Farm we also have beautiful, farm and family raised puppies. We have been breeding for approx. 22 years. We have worked hard on our bloodlines with our dogs. Our Sire "Berachah's Trusty Copper" comes from a dog with Agility and Obedience Titles and there are numerous OFA, champion dogs in our bloodlines. Our puppies are always cared for with much love and compassion. Puppies are AKC or CKC/USA registered. Miniature and Standard sizes - Bred for quality & not quantity, our puppies are healthy and well socialized. They thrive as family pets, Service or Therapy dogs. Full two year health guarantee and a lifetime of support. Leash & collar, Puppy food, Vaccination records, Age appropriate Dewormings, Puppy training booklet, Blanket with Mom & sibling's scent. 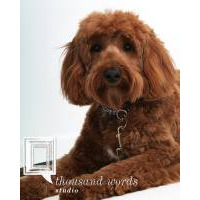 This breed directory page features Goldendoodle dog breeders with puppies and/or adult dogs for sale. Once you purchase your new found friend, you will want to provide it the best in pet health care. Be sure to visit our online discount pet supplies catalog and order NuVet Plus™ to keep your puppy and adult dogs in top condition. The discount catalog also features collars, leashes, carriers, general pet care products and much more. 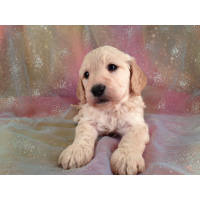 BreedersClub.net does not pre-screen the Goldendoodle dog breeders who advertise their puppies and dogs for sale in the BreedersClub.net breeder directory and in the classified ads. We require all advertisers to agree to our advertising terms. You should ask the Goldendoodle breeders you talk with for references from past buyers and veterinarians.